Here we interview Bug-U Pest Control from Hudson Falls, NY to find out what life is like as a Glens Falls Region exterminator -- the good, the bad and the funny. 1. What are the 3 most common pests that pose problems for homeowners? The 3 most commons pests that pose a problem for homeowners are carpenter ants, wasps, and rodents. 2. How does Bug-U Pest Control eliminate these pests? 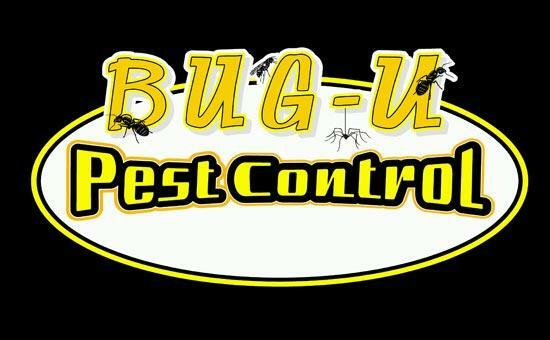 At Bug-U Pest Control, we eliminate pests through an integrated pest management approach. These methods are performed in three stages: prevention, observation, and intervention through chemical and non-chemical means. 3. What inspired you to start a pest control business? I have been in the pest control industry going on 13 years. I decided it was time to go on my own and it is one of the best decisions I have ever made. 4. What sets Bug-U Pest Control apart from other national name brands? I think one of the main differences is at Bug-U Pest Control, the customer is not just a number. At Bug-U Pest Control, the customer is family. 5. Have you ever had any humorous pest control encounters? Yes, it was my second day on the job, I was a green horn. The gentleman I was training with asked for me to put on my coveralls, grab my flashlight and go into the crawl space at a customer's home in Lake George. He told me to to inspect the rodent bait station, which was around the corner. So, I started crawling; it was dark and a little uncomfortable. As I proceeded to the corner, my flashlight spotted a Huge King Cobra! I turned 4 shades of white and my heart practically came out of my chest. After I gathered myself, and with closer inspection, it wasn't a real cobra; it was a ceramic cobra painted very realistic. As I came out of the crawl space sweating and a little nauseous, the gentleman asked me, "What did you find? ", I said, "There is a ceramic King Cobra down there, and his response was, "I found that too!" 6. Where is your territory or travel distance to help people? We service Warren, Washington, Saratoga Schenectady Counties. 7. Do you use environmentally friendly products? Yes, we use environmentally friendly products, Eco-smart products, for our Green option. 8. What does a typical day look like at Bug-U Pest Control? My typical day includes: performing inspections, solving pest issues, and performing pest control treatments. 9. What is the largest pest you've ever removed? The largest pest that I ever removed was a six foot Black Snake from a dryer vent! 10. What is one thing most people probably don't know about pest control? One thing that most people do not know about pest control is that the pest control industry is a very regulated field. You need to have documented field experience, state licensed, every 3 years adequate re-certification credits, and carry liability insurance.